The first installment of Random short film project is Bad Luck, a hilarious comedy of two bankers on a launch break. 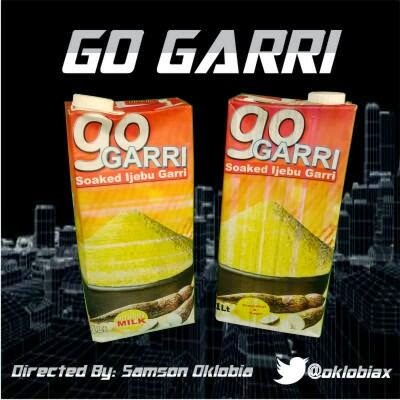 This is thesecond installment of Random, GoGarri, an advert for a new product. GoGarri is a creative formulation of soaked ijebugarri with options of ‘with and without milk and groundnut’. It is intended to suit people always on the go that finds it difficult to take their favorite ijebugarri. This product, as you will find, is interesting, creatively formulated and beats all imagination. This advert was shot in Makurdi, Benue State, as directed by Samson Oklobia.